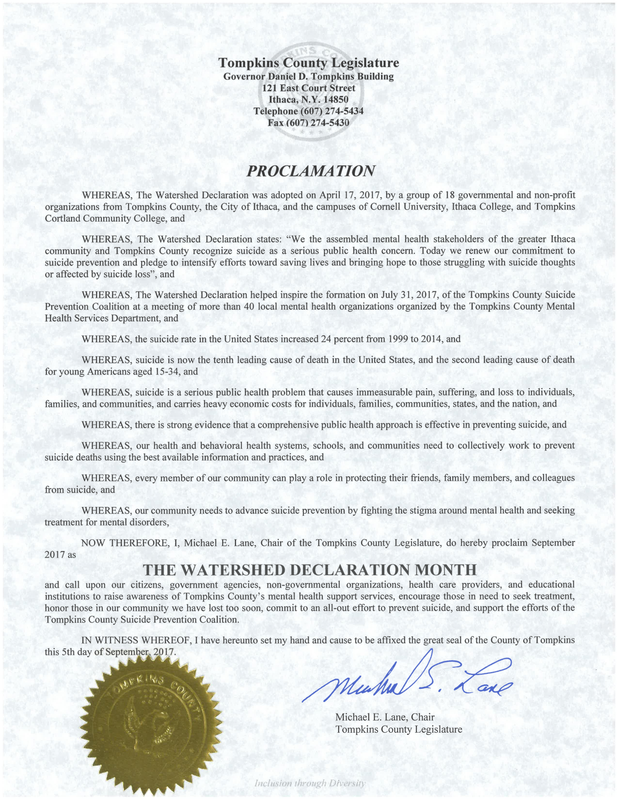 The Tompkins County Legislature on Tuesday proclaimed September 2017 to be “The Watershed Declaration Month” in support of intensified suicide prevention efforts in the community. In receiving the proclamation, Scott MacLeod, a donor advisor of The Sophie Fund, established to support mental health initiatives for young people in the community, thanked Kelles and the legislature for their support. 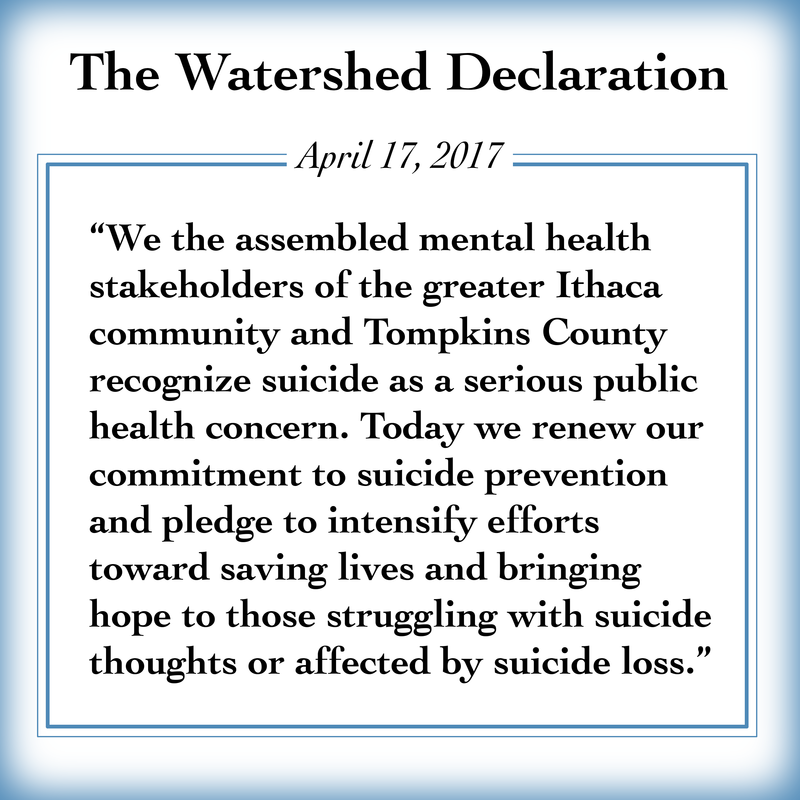 He also commended the initiative of Tompkins County Mental Health Commissioner Frank Kruppa and Deputy Commissioner Sharon MacDougall to establish the county’s Suicide Prevention Coalition. Previous Article Hey Ithaca, Get Ready to Bake Cupcakes!